When it comes to mattifying my manicure I can be pretty resistive. I REALLY like it when my nails are shiny, but sometimes a girl likes change. 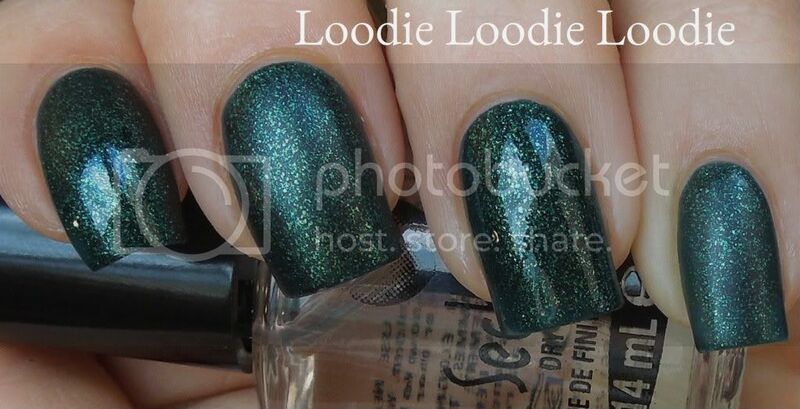 When the mood strikes me, it helps to have a decent matte top coat to make everything look meticulous. I think I found a good one! I would be one pissed 7 year old. 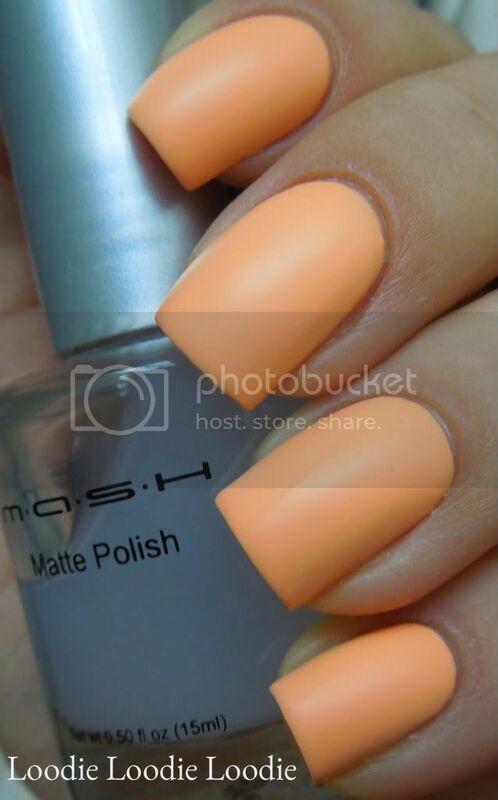 When I first received this matte top coat by MASH, I only dipped one toe in the pool, so to speak, to test the waters. Actually quite literally my pinky is the only mattified finger here. 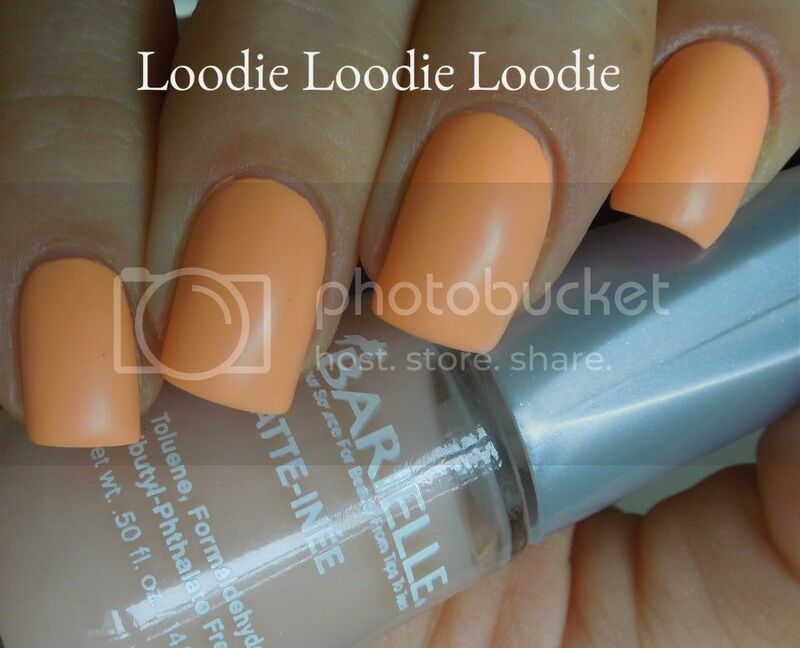 MASH matte top coat is only on the pinky; the rest of the fingers were probably Seche Vite. 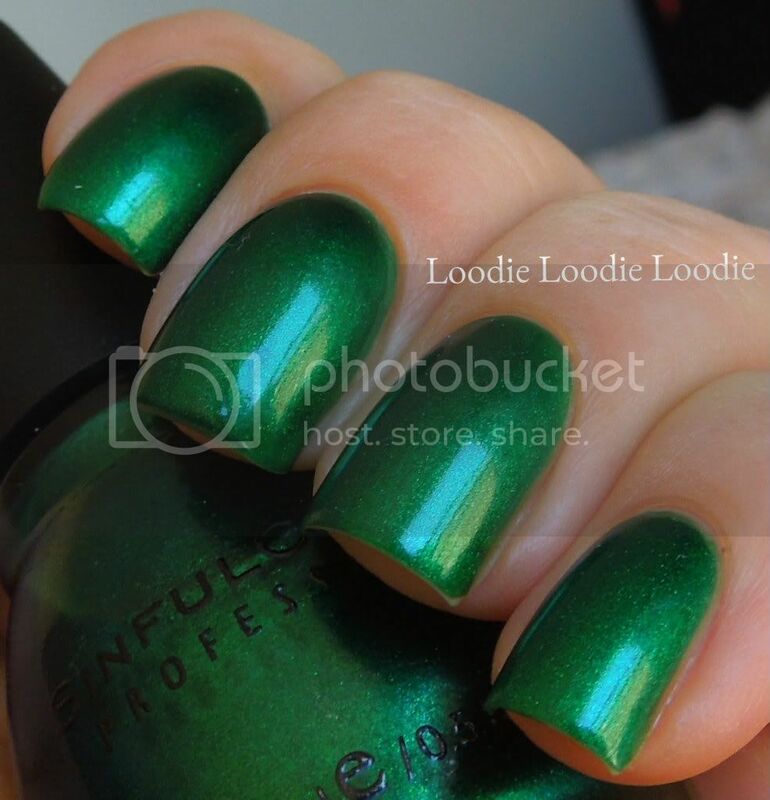 What a fantastic green!!! 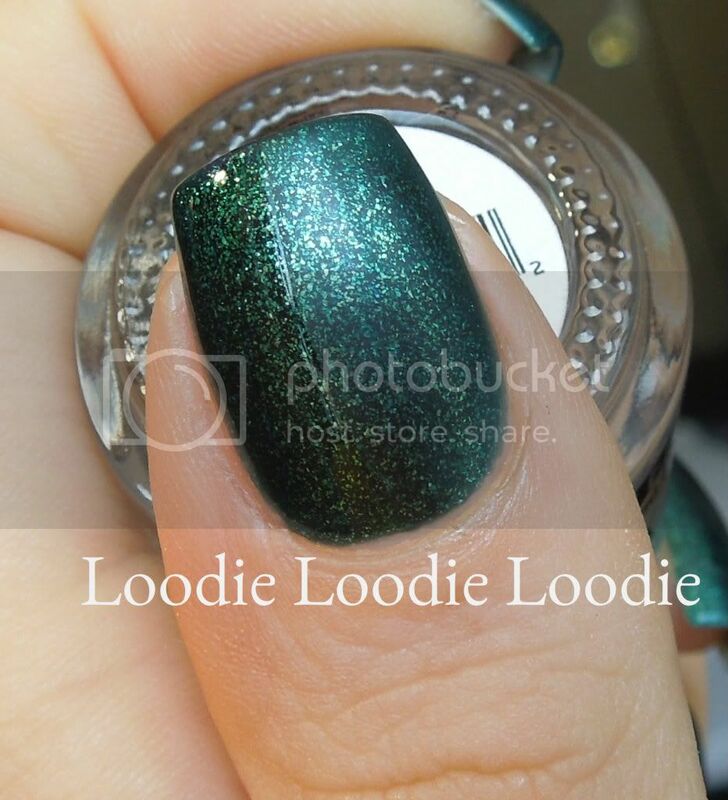 Gollie g.
It is equally as awesome with matte top coat. Good job MASH! I don't know... it kind of takes the life out of it. 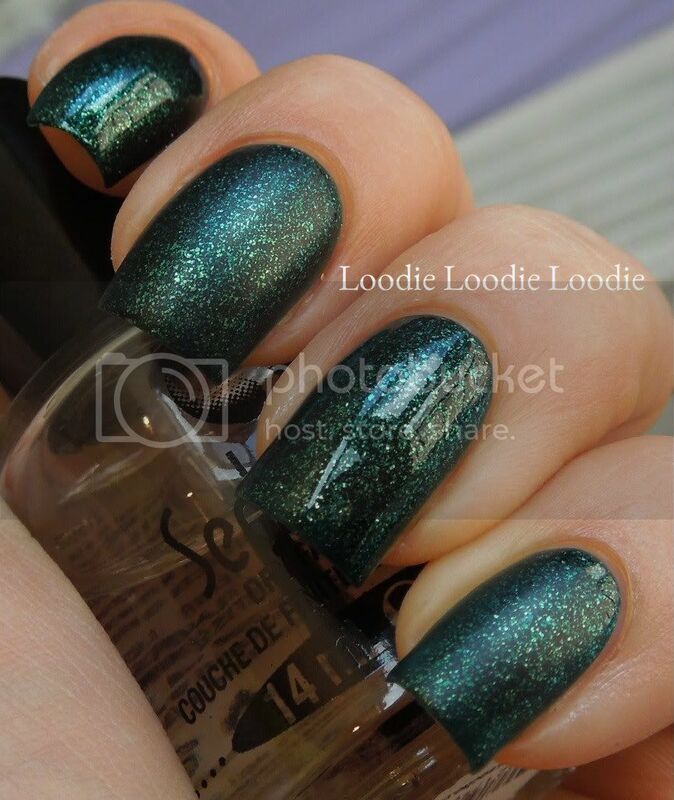 BUT in terms of matte top coat quality... it is superb. I do like a nice matte cream on occasion. It makes me feel like I am wearing Illamasqua's rubber finish polishes. That dirty post can be found here. This is Revlon - Rock with MASH matte top coat. 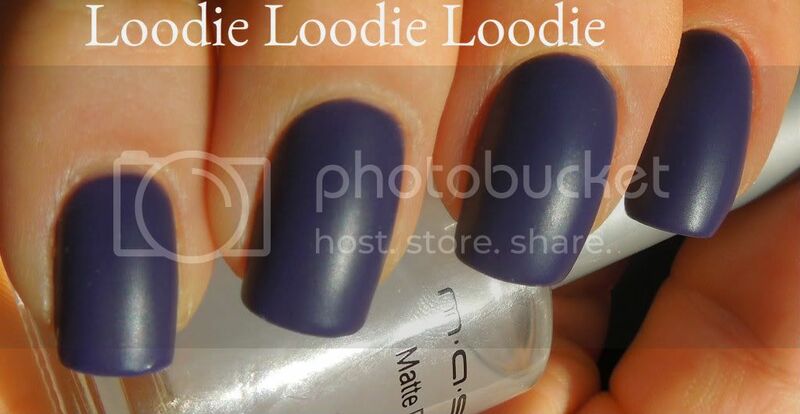 How good is this matte top coat? .... uuuhhh, it's like apples and oranges people. They are both great. You may not be able to tell from the picture, but there were visible streaks in the finish. Sad face. This is probably why I don't use it much. I am not sure whether the problem is the brush (it's horrid!) or the formula, or a combination of both. MASH matte top coat is like butter. The brush and formula worked like a charm EVERY time. Can I just say how much I enjoy a mattified pastel! More Lime Crime Pastels can be found here. 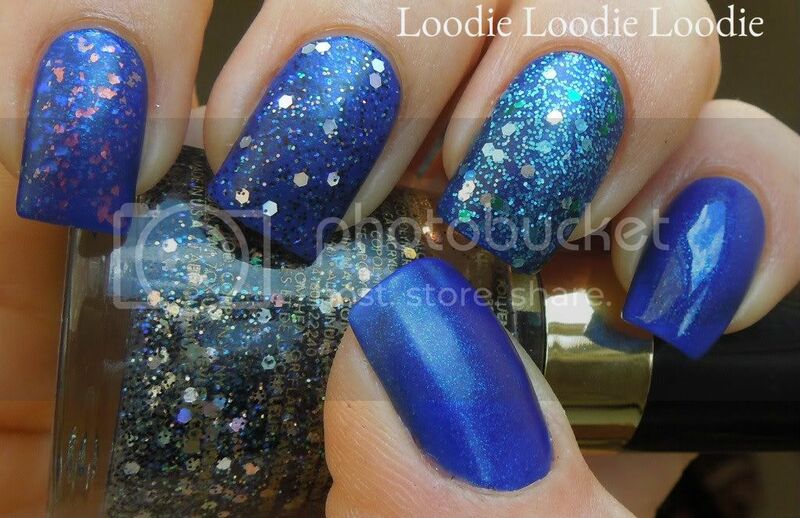 I decided to layer Orly - Royal Navy with a bunch of glitters and mattify them! 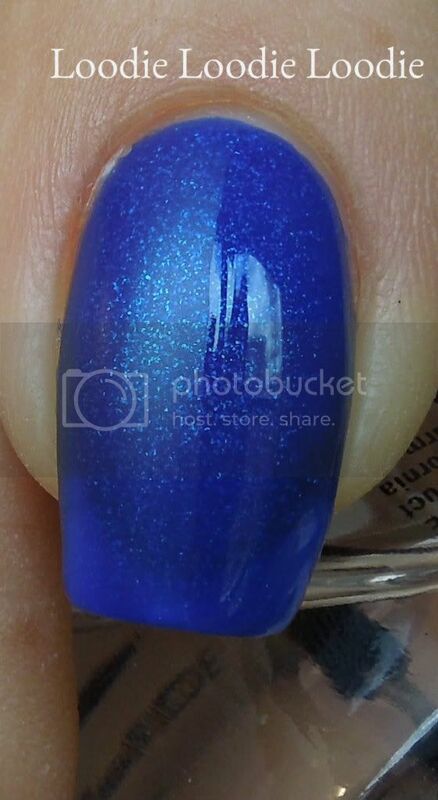 Index: Orly - Royal Navy shiny! 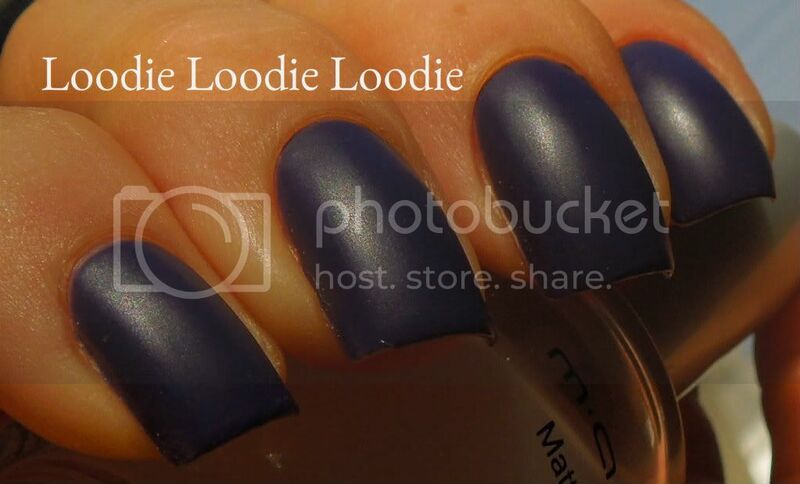 Thumb: Orly - Royal Navy matte! I am completely convinced. Not only does MASH deliver a high quality matte finish, but the dry time was great too. 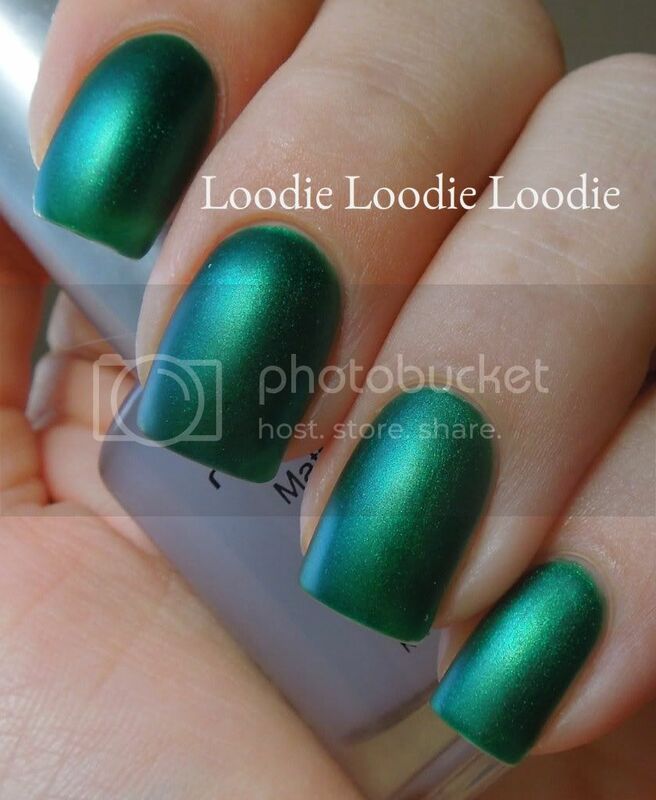 What is your favorite matte top coat? On this random night I decided to push back my cuticles. But the usual method was not good enough. For whatever reason I felt compelled to break out the metallic instruments. I was reminded why I rarely use them and in general recommend them only under adult supervision, or never. 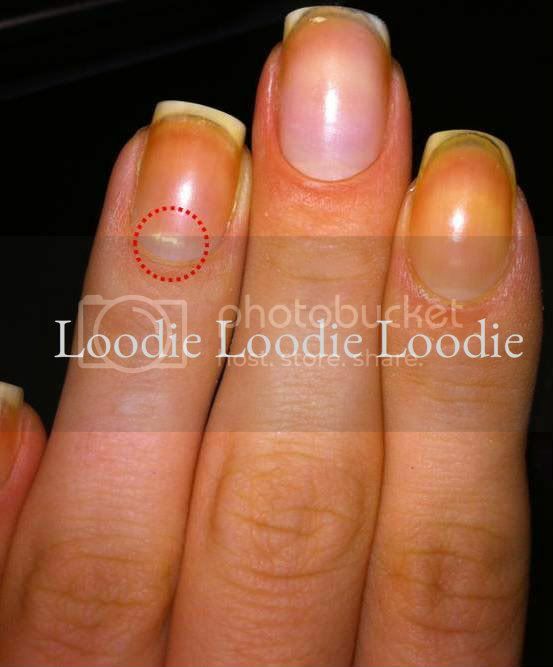 There are two parts to the cuticle area, the live skin (eponychium) and the dead skin (true cuticle). I have discussed them in great detail in this post and many others. 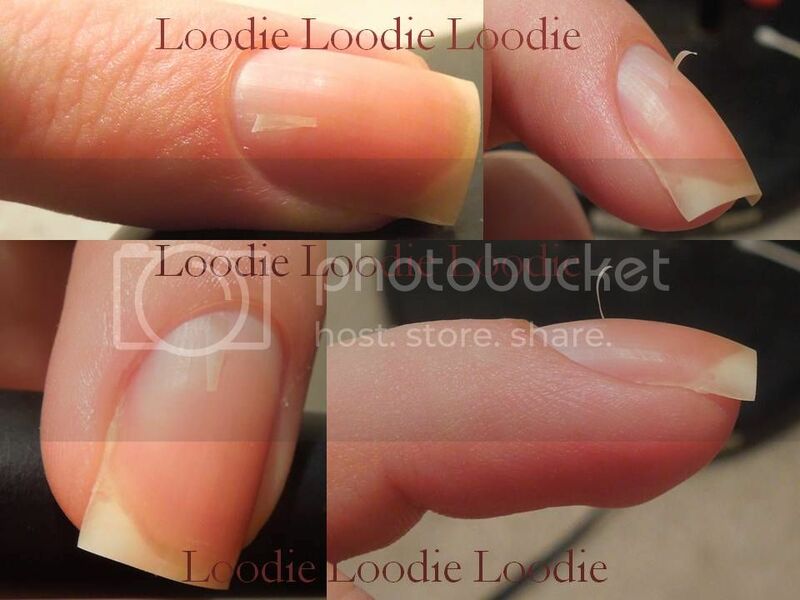 I push back my live cuticle everyday; I have a problem, I know this. The reason is well documented in this post. In short, I apply moisture and massage and push them back. 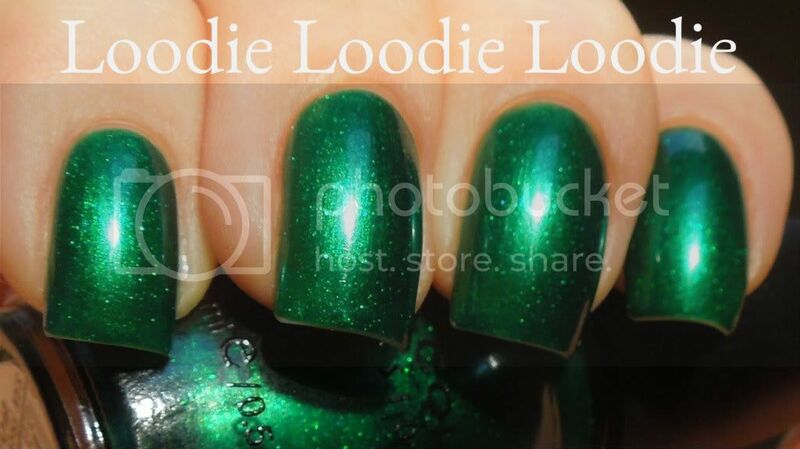 It's glorious and gives me longer nail beds. Now, the dead skin is a bit more difficult to remove. Here, I resort to chemicals; they are my friends and there is no reason why they should not be yours. They rarely disappoint. Take it from a chemist ;) ... I'm slightly biased, clearly. 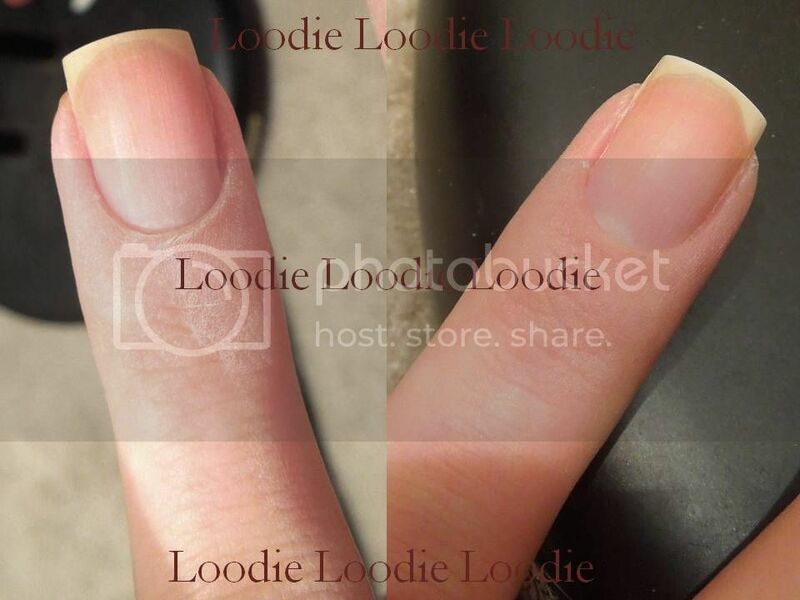 I showed how I remove my true cuticle in this video and post. 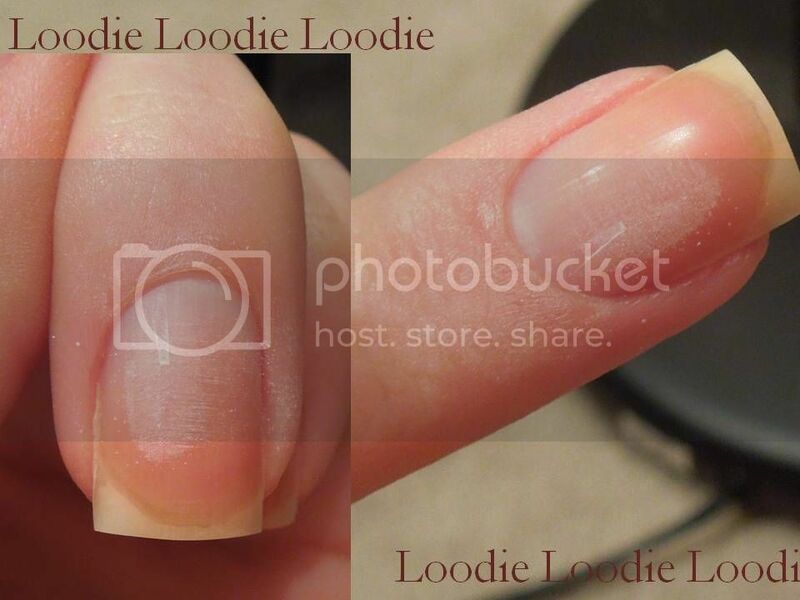 To summarize, I like to be really gentle and use a q-tip to apply the product and remove the true cuticle. I think a wooden stick is also safe, but personally don't use if very often. Ignore the innocent bystander (wooden stick). He's an okay chap, but if you use him, be careful nonetheless. It's true some metal scrapers are sharper than others. I thought I was safe. These felt pretty smooth to me. Of course this needs fixing PRONTO! DON'T PULL IT!! It may pull off more nail deeper down. Grab a semi rough nail file or buffing block, somewhere in the 220/320 or 400/600 range. I like the files from Tropical Shine for these types of jobs. The first order of business was to remove that large flap. 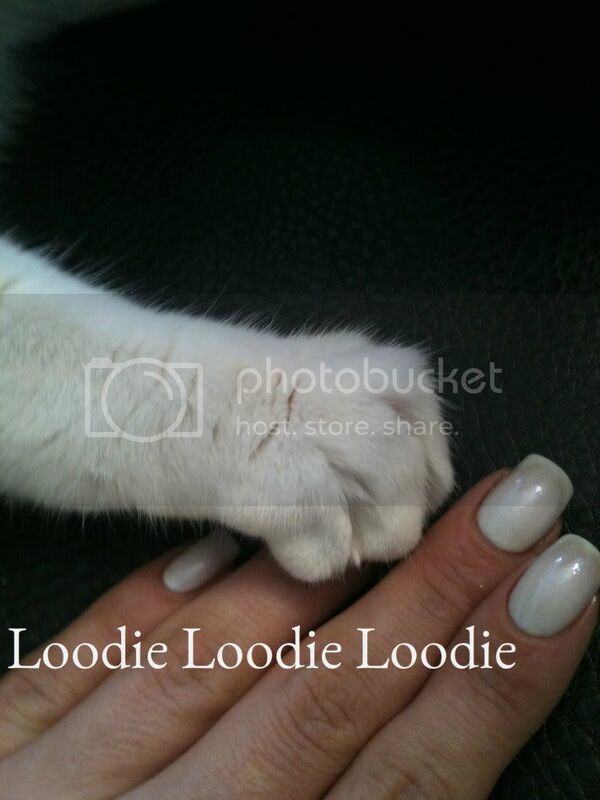 My nails are fairly healthy. I used the blue 220/320 file from Tropical Shine. Next, I evened out the rest of the nail plate with a buffing block. I am still in love with this sponge board. I used the 240 grit strength. OMG! Yes, my nails are yellow from Sinful - San Francisco. Don't judge me. Instead see the full story here. The red circle shows the trauma the implements inflicted. With time the damage will grow out. 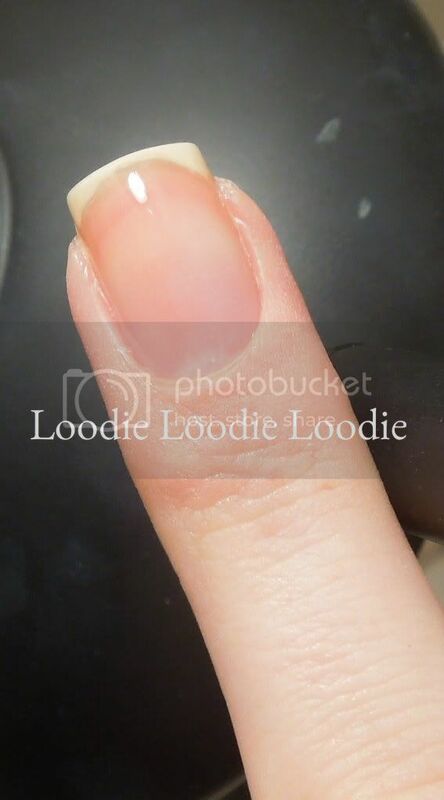 As the damage grows out, the white spot appears and disappears depending on how moisturized my nail plate happens to be. 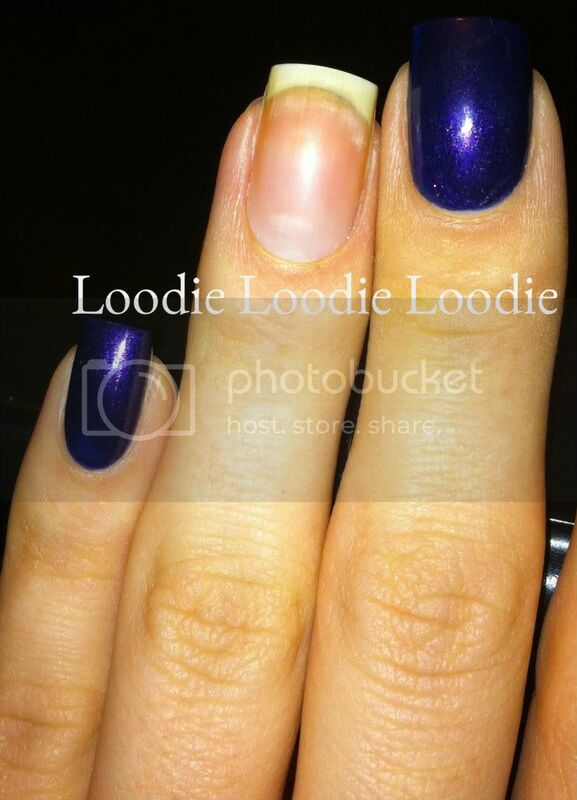 Here my nail was moist, the spot appeared to dissipate. Isn't MOIST the best yet worst word ever?! 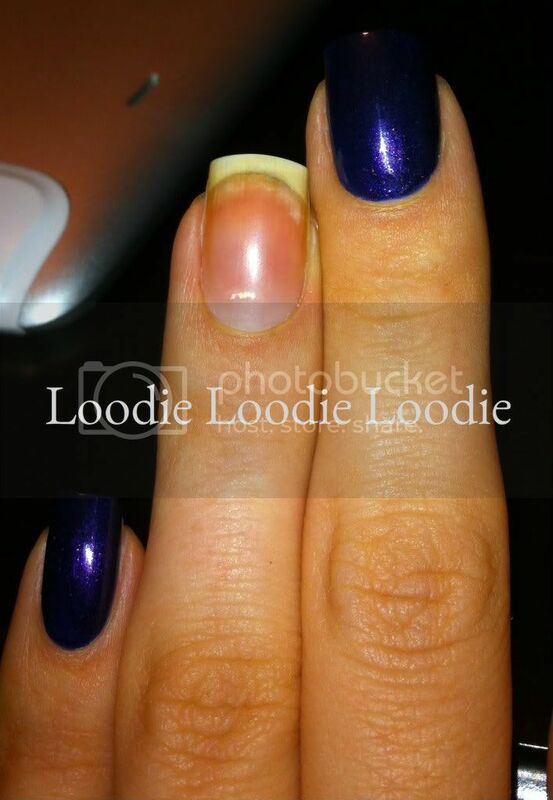 Here my nail was more dry, the spot appears more solid. Moral of the story? 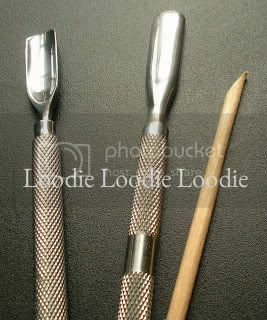 I prefer to leave long hard metal objects for self defense purposes OR scraping barnacles of a hull, not cuticle removal. 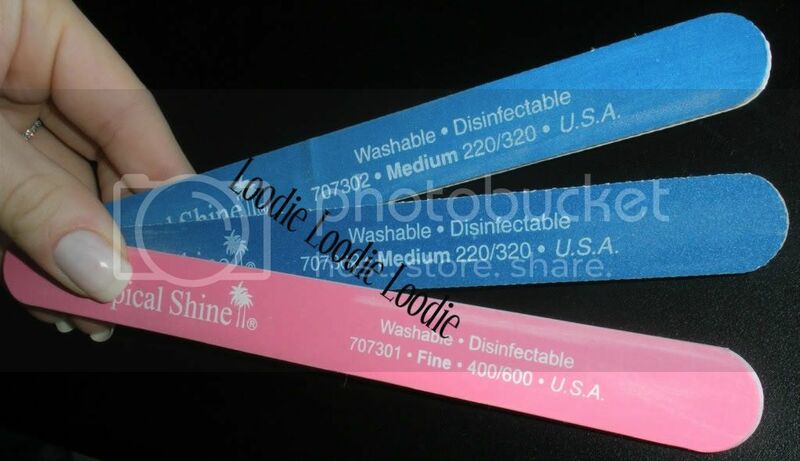 How do you remove your cuticles?